A Panic Attack is where there is a sudden onset of acute anxiety that leaves the sufferer feeling overwhelmed and confused. It is a common illness that affects up to 4% of the population. 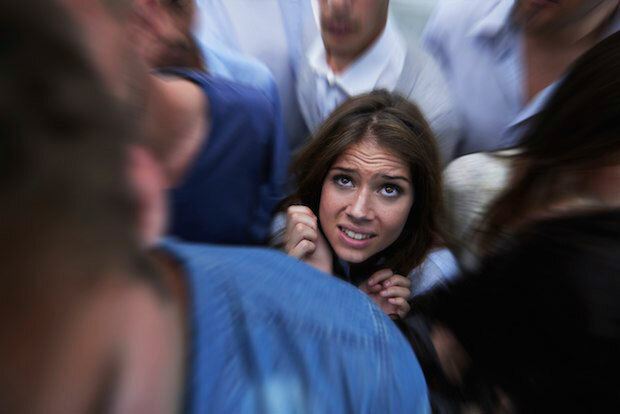 Panic attacks involve a feeling of intense fear in situations where most people would not ordinarily be afraid. The symptoms of panic attacks can peak within 10 minutes. At the first onset of symptoms the sufferer is often left wondering the cause of the panic and may mistakenly attribute it to a sinister physical or psychological illness. They may be shocked to learn, after visiting hospital or their GP, that there is nothing physically wrong with them. Following a panic attack, individuals may develop a panic disorder, which is characterised by a fear of re-experiencing further panic attacks. Such a disorder may cause individuals to avoid situations where they have previously experienced panic. For example, if they experienced a panic attack while waiting in line at the supermarket they may avoid returning to there to purchase their groceries on future occasions. Such avoidant behaviour may later generalise to other areas of their lives, for example, they may then decide to avoid all shopping outlets or places where they may need to wait in line. BlueSky Psychology therapists treat panic using techniques that have been demonstrated to be the most effective forms of treatment, which include Cognitive Behavioural Therapy and Exposure Therapy. Cognitive Behavioural Therapy involves teaching individuals to control and challenge their thoughts in regard to Panic Attacks. For example, while having a panic attack instead of the unhelpful thought “I can’t breathe. I am going to die,” individuals can be taught to change their thoughts and lower the anxiety in their bodies. Panic attacks are highly treatable with the right intervention. Exposure Therapy involves breaking down feared situations into smaller components and gradually introducing individuals to their feared situations while using strategies to calm their response.